The Kids are Grown. Now What? With the kids out of the house, your time, energy and finances may have a new focus. A financial planner can help you set fresh goals and balance your new priorities. Save for Retirement or the Kids' Education? A financial planner can offer strategies to help you make the choice that’s best for your whole family. Before you offer to help your kids with their post-secondary education, it’s important to know whether you will have enough money set aside to fund your full retirement. See How to Save More for Retirement? Do you have time before your children start their post-secondary education? If you have a few years on your side, you can begin (or continue) to contribute to a Registered Education Savings Plan (RESP). At the same time, if retirement is a few years away, you may have an opportunity to boost or reduce your Registered Retirement Savings Plan (RRSP) contributions according to the timeline your kids have for their education. When it comes to paying for education, your kids have several options available. Student loans and lines of credit, for example, typically come with lower interest rates and flexible repayment terms, making it relatively easy for them to pay off the cost of school over time. 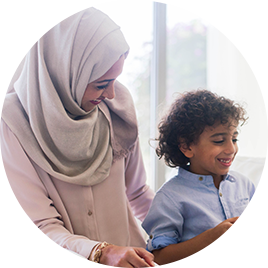 A financial planner can walk you through the various borrowing solutions available that can help fund your children’s education. If you want to help with your kids’ education but know that will cut into your retirement fund, have a realistic understanding about what that will mean to you. For example, are you reducing or cutting out a major goal you had for retirement—such as travel or a new business? Or, is the impact less significant and one you can happily live with? Your financial planner can help you map out the trade-offs that may come with dipping into your retirement savings. How Can I Protect My Children Financially?